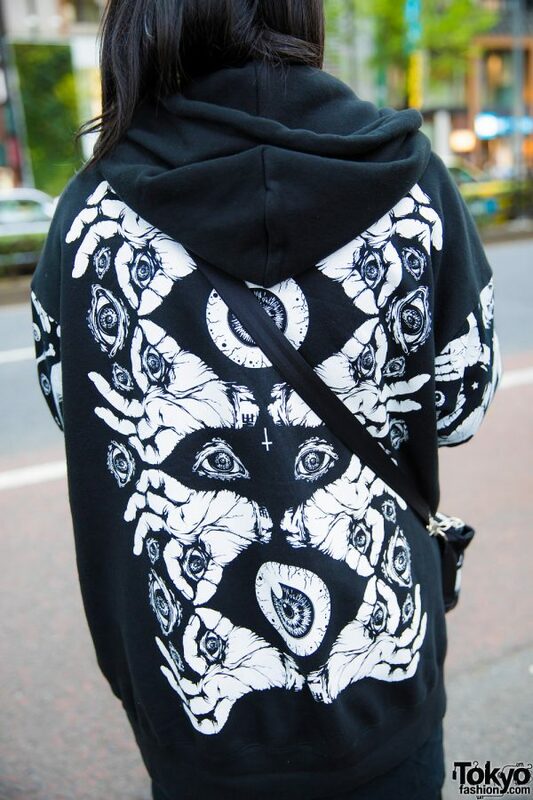 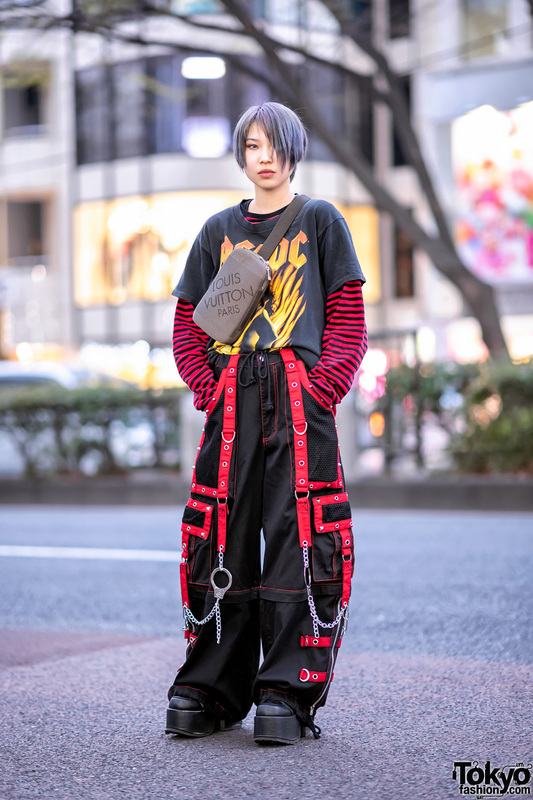 We met 19-year-old Tsubu while out taking a stroll along the Harajuku street. 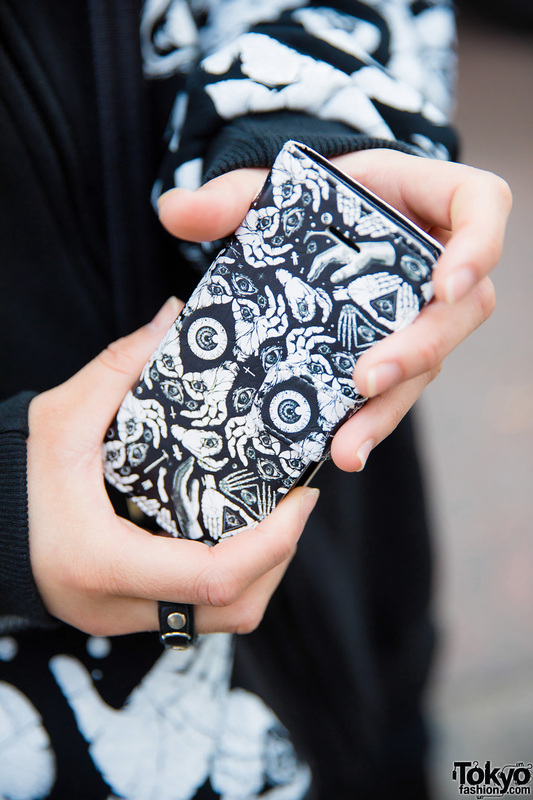 Her black with white prints ensemble easily caught our eye. 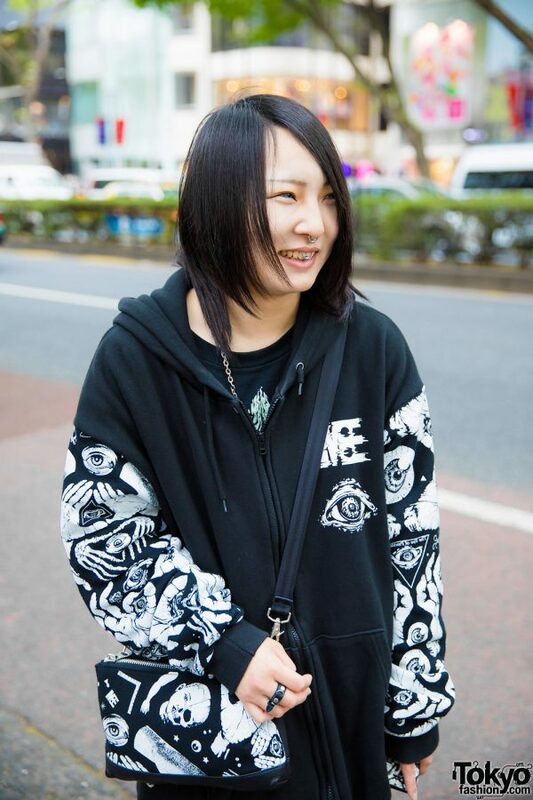 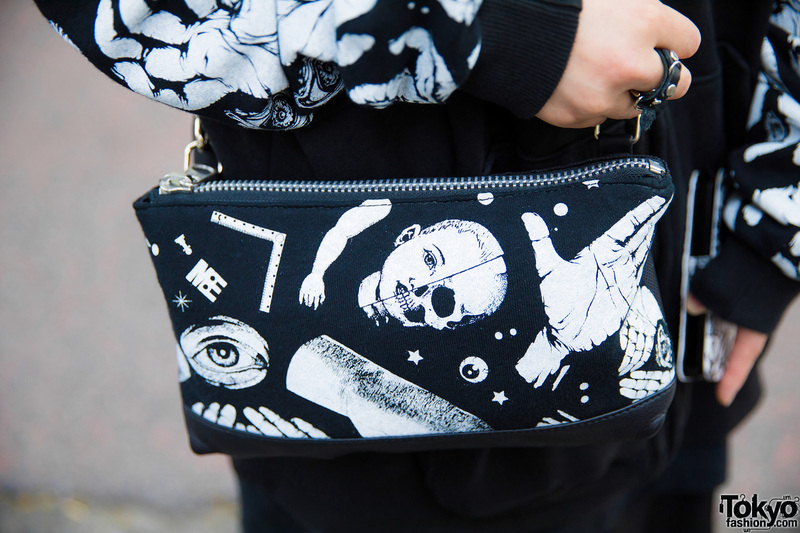 Tsubu is dressed in a black oversized hoodie jacket with eye and hand white prints on the sleeves, worn over a black t-shirt and a long black skirt, all of which are from M:E. She finished off her outfit with black ankle socks, black leather lace-up shoes, and a black-and-white printed crossbody bag, also from M:E. Accessories such as a nose and lip ring, a silver eye pendant necklace, a studded leather ring, and a phone case with black-and-white prints finished off her style.